I would like to share with you a product called the JAECO. This product is really cool and was shown to me by James Cooper from Priority Posture Systems Ltd. James has the only demo model of this product in Western Canada and I was super excited to see it in action! The JAECO is essentially a dynamic orthosis or exoskeleton that can enhance a client’s upper limb function by assisting them against gravity. 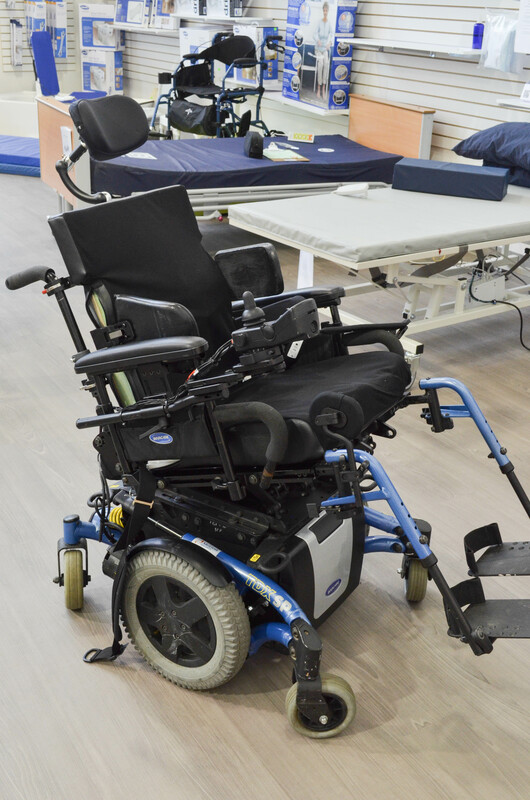 The system can be mounted on a wheelchair or even a table top and is secured to the client’s arm with strapping. 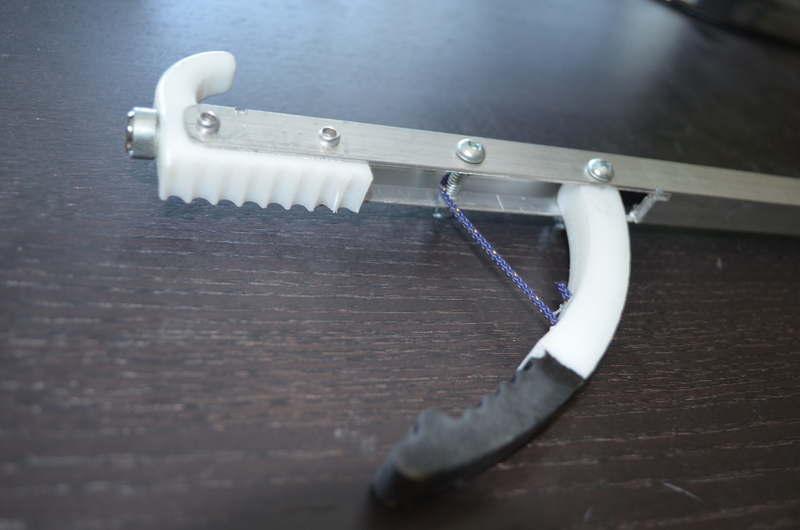 The JAECO can be adjusted to meet the client’s needs through the number of blue elastic bands added onto each part of the system. Check out the photos below!
. 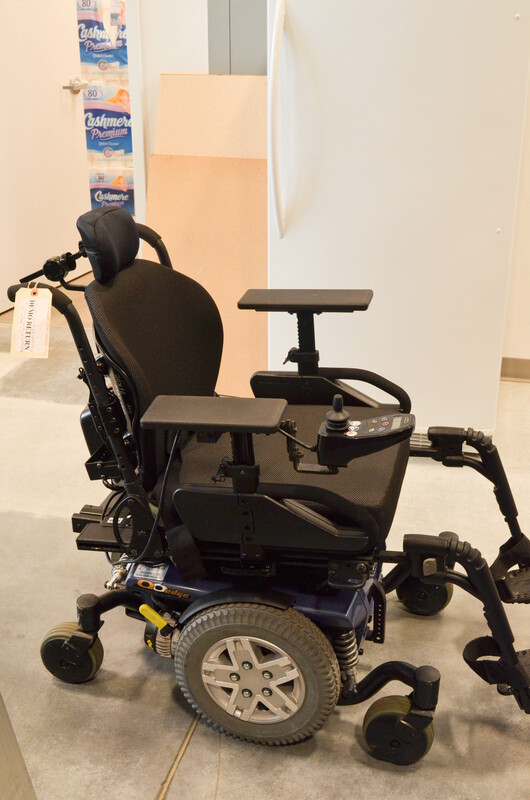 :REAR WHEEL DRIVE POWER WHEELCHAIRS:. Access was fortunate to have the opportunity to have an inservice with KCI at Motion Specialties. They brought in their new mattress technology called the AtmosAir. This mattress consists of SAT (or “Self-Adjusting Technology”)cells that essentially self-adjust to the weight and level of load from the client. Click here to see more about this product. This is a product that is marketed as a “no maintenance mattress”. Definitely a neat product worth a trial and a pressure mapping session at some point to see how it measures up to others.
.: QUICKIE IRIS vs. QUICKIE SR45:. 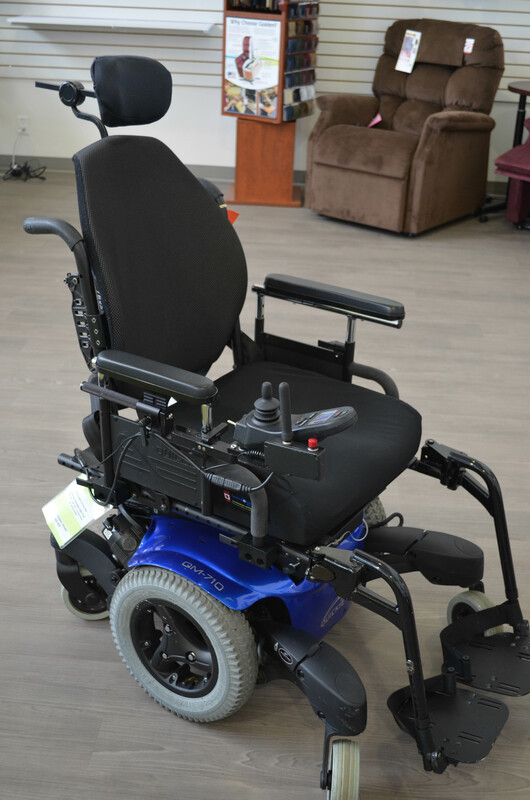 The SR 45 has been out for about a year or so and has been marketed as a lower end version of the Quickie Iris, which is one of the best tilt-in-space manual wheelchairs available on the market. The Quickie Iris is a great base to work with as there is so much adjustability, flexibility and real estate on the frame, which makes it easier to mount seating components and is also great for setting up full custom fabricated seating systems. I wanted to share with you a custom fabricated Thoraco Lumbar Sacral Orthosis (TLSO) that was fabricated by Alan Keith Valley Orthocare in Surrey, BC. This back brace was made for a client with C5 complete spinal cord injury. This client had very limited trunk control and had been using a custom fabricated ABS backrest for a while with a chest strap, however, due to the flexibility of her spine, these components still did not provide adequate control and support. This made it difficult for the client to establish appropriate sitting balance for functional activities, it made it difficult to manually self propel in a manual wheelchair and also resulted in constant and severe nerve pain. 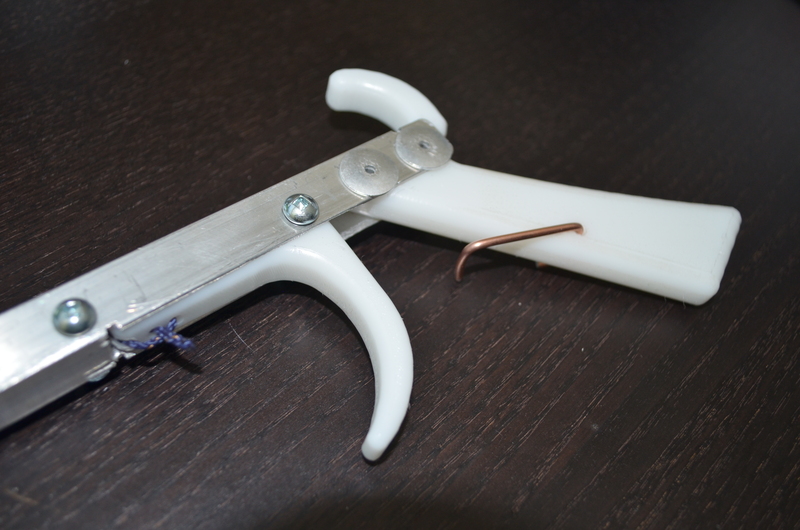 I would like to share with you a very special tool that was fabricated by Chad Kania at Ability Health Care. It’s a custom reacher!! I realize that this isn’t exactly a seating modality, but it’s such a neat device that I really needed to share it with you! This device was fabricated from scratch! 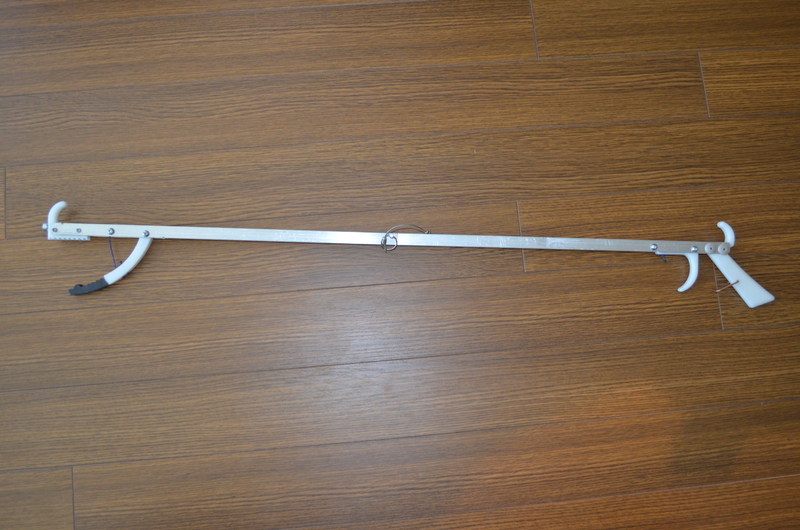 It is a super light weight aluminum reacher that was made for a power wheelchair user who needed a device that could be used to pick things up from the floor and be used as a device to open heavy drawers and access items in drawers that were out of reach. Here is an image of the reacher.
.: CUSTOM CARVED FOAM SEATING SYSTEM :. This is a carved foam seating system that was fabricated in Whitehorse, YT by James Cooper from Priority Posture Systems. It’s a planar foam “I” shaped backrest with asymmetrical swing away trunk laterals and carved cushion with ischial block and built in pommel. This system also has an arcufit-style positioning belt and i2i headrest. What was quite interesting about this case, was that we originally spec’d a foam in place backrest. Unfortunately, when trying to fabricate the system, the foam in place could not hold the clients’ posture. 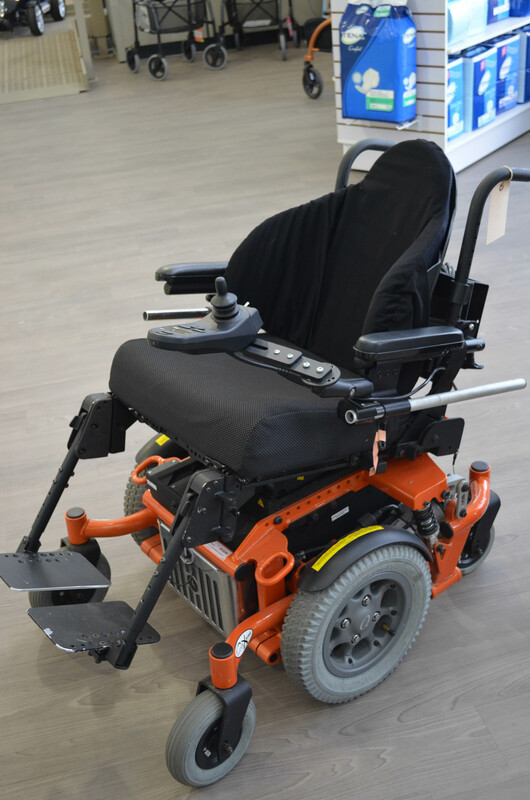 We instead needed to proceed with a planar foam back, which provided much more support and control.
.: REVIEW OF 5 MID-WHEEL DRIVE POWER WHEELCHAIRS :. Access Community Therapists Ltd received an equipment inservice by Motion Specialties (Centric Health). 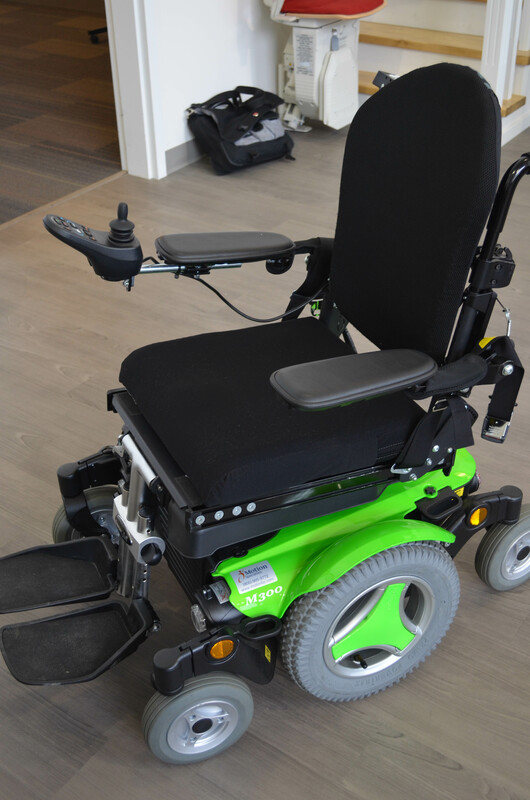 We compared 5 mid-wheel drive power wheelchairs, received a ton of amazing information on each chair, and were actually able to trial each of the bases ourselves. Here is a brief summary and comparison based on this review as well as for some of our own overall impressions from the trial.